Joyce DiDonato - In War & Peace: Harmony through Music :: TicketServices.gr " // + "
Joyce DiDonato is appearing officially for the first time in Greece, presenting her awarded In War & Peace, accompanied by the orchestra Il Pomo D 'Oro. 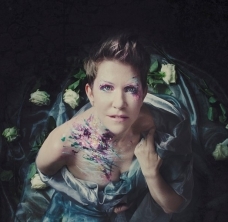 Mezzo-soprano Joyce DiDonato, one of the worldΆs most famous opera singers, is performing officially for the first time in Greece her award-winning album In War & Peace, accompanied by the orchestra Il Pomo D 'Oro. Notable for her interpretations of HandelΆs, MozartΆs and RossiniΆs works, DiDonato has performed with many of the world's leading opera companies and orchestras. Also, in 2012 (with Diva Divo) and 2016 (with Joyce & Tony - Live from Wigmore Hall) she won the Grammy Award for Best Classical Vocal Solo Album. She has been proclaimed “perhaps the most potent female singer of her generation” by The New Yorker, while her voice is “nothing less than 24-carat gold” according to the Times. Moreover, the Financial Times judged her recent performance as Elena in RossiniΆs La donna del Lago, as “simply the best singing I've heard in years”. JoyceΆs most recent release In War & Peace won the 2017 Best Recital Gramophone Award. She has also been honored with the Gramophone Artist of the Year and Recital of the Year awards, four German Echo Klassik Awards as Female Singer of the Year, and an induction into the Gramophone Hall of Fame. - Due to special requirements of the performance, the doors at Stavros Niarchos Hall will open at 20.10 and all spectators should be seated within 20 minutes. Please follow the directions you receive upon your arrival at the venue in order to achieve the tight time limitations.